See the front of the Temple, one of only two truly classical temples from Roman Britain. It was here that the statue of the goddess Sulis Minerva was housed. The great ornamental pediment survives, and has been re-erected in the museum. An animation shows how the pediment would have looked in Roman times, and visitors can watch from the amphitheatre style seating. 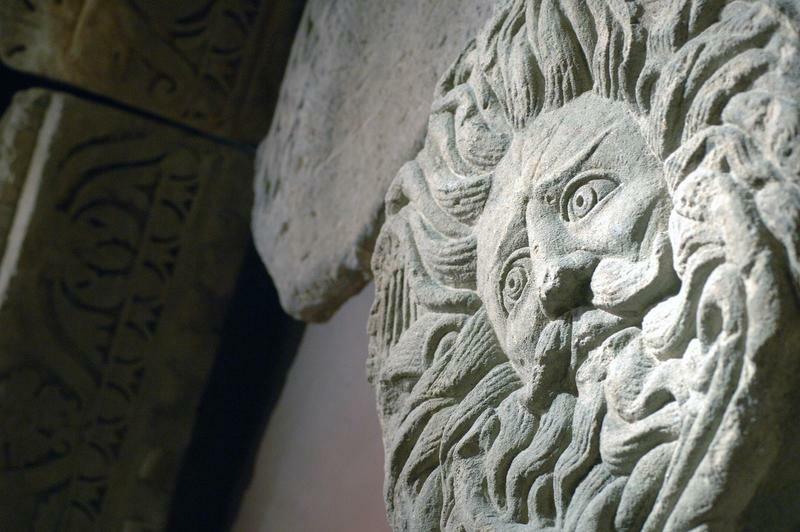 The pediment carries the image of a fearsome head carved in Bath stone and it is thought to be the Gorgon's Head which was a powerful symbol of the goddess Sulis Minerva.